Lawyer Loves Lunch: A Giveaway in Honor of National Coffee Day! A Giveaway in Honor of National Coffee Day! Did you know there's a National Coffee Day?!? It's like finding out there's a day set aside just for you. Oh wait, that'd be your birthday. But you get my point. A whole day set aside for my favorite drink, no, life juice. In honor of my new favoritest day ever (sorry birthday! ), the fine folks at Tully's Coffee are giving one of you beautiful people the chance to try a bag of their fantastic House Blend AND a bag of their French Roast. Heck, they're even giving you a beautiful leather journal in case their fabulous coffee inspires you to write the Great American Novel. All you have to do is mosey on over to my Facebook page, like it (because you like me, you really really like me! 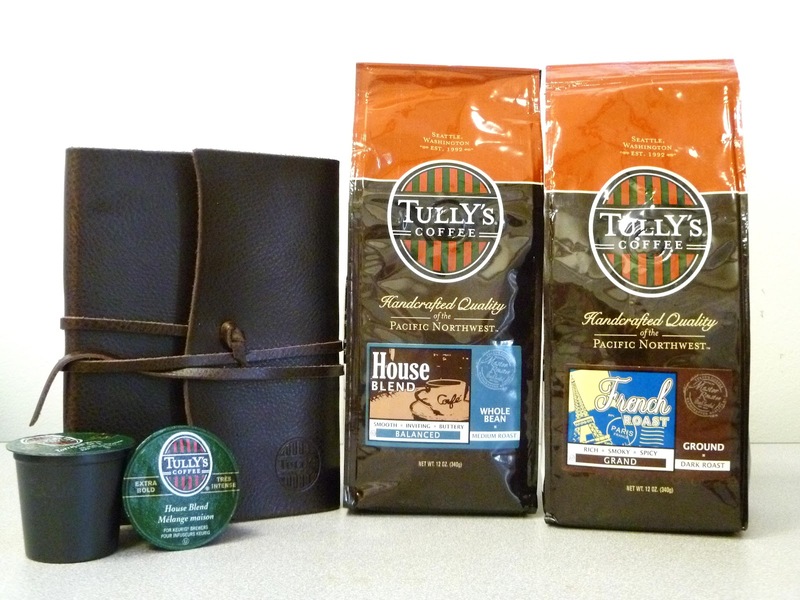 ), and comment on the Tully's post to let me know how you like your coffee! Disclosure: The generous folks at Tully's Coffee provided me with samples of their coffee and coffee-related products, but all opinions are my own (as always!). National Coffee Day IS my birthday, which totally makes it the BEST day in the universe to me!! (I just found that out this year and it made me the happiest girl! ).